Don’t stress if you open your kid's lunchbox after school to find the food untouched. You’re not alone. Sometimes kids who take stimulants for ADHD don’t get hungry. It’s not easy to make sure he eats while he’s at school. Pack only his favorite foods, and ask teachers to remind him to eat. If he doesn’t, that’s OK -- you can focus more on meals at home. He’ll get the nutrition he needs. Is your kid a light eater? Give her high-calorie foods before she takes her meds in the morning. She doesn't like bacon and eggs? Offer a leftover burger or slice of pizza and a side of fruit for breakfast. Kids need calories and nutrition to fuel their growth and give them energy for the day. When his blood sugar drops, he might get cranky and lose focus. A yogurt smoothie makes a great snack. The protein will keep him on track and may prevent mood swings. 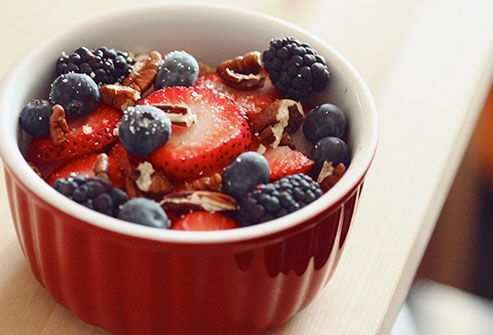 Add fruit and flaxseeds, which have healthy omega-3s, for an extra boost. Nuts -- also packed with protein and calories-- are good for snacks or to round out meals for light eaters. Or you can offer greek yogurt instead of a yogurt smoothie. 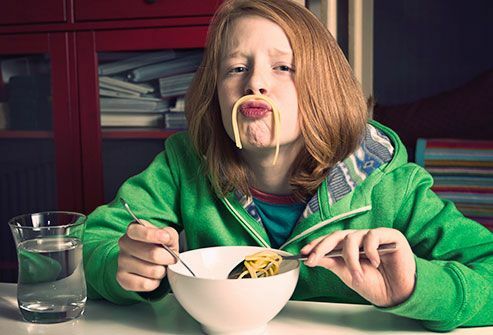 Some kids with ADHD don’t eat enough because they get bored with meals quickly. Give them a plate that grabs their attention. Use cookie cutters to shape sandwiches. 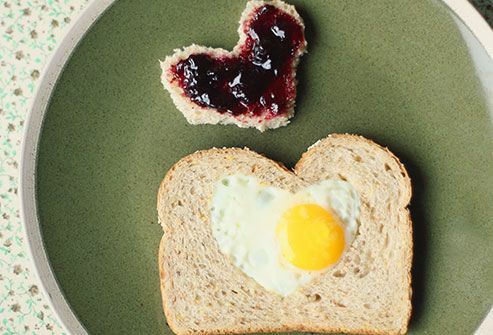 Arrange food on the plate to make designs or faces. Offer sauces and dips to make the meal more interesting. It can help too if you let your child take part in grocery shoping and making his own fun lunches. Doing so will help him take more interest in eating his own food. If medications turn your kid off from food, serve his fave foods first -- he’ll be more likely to eat. Start with high-calorie foods, like meat and grains. Small portions may have more appeal. When you serve veggies, add cheese or olive oil to boost the calorie count. Whether he’s a light eater or overeats out of boredom, a nutritionist or pediatrician can help you both make healthy choices. 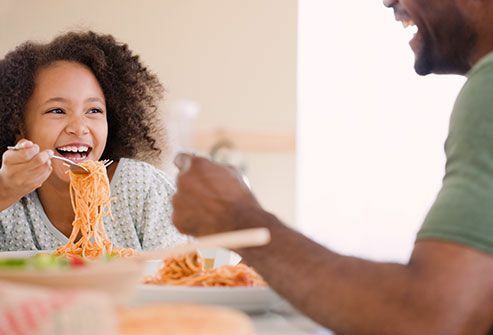 Does your kid bolt from the table after a few bites? Change your dinner habits. Try to calm things down. Have her sit next to you, instead of a sibling. Dim the lights or play soothing music. Have her face away from mirrors or windows that might draw her mind away from the meal. Ask her questions about things that happened during the day. 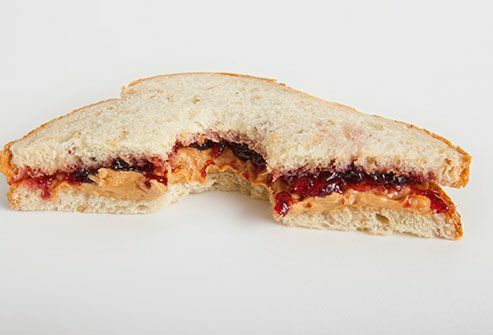 Kids with ADHD may not be hungry at regular times. Work with them. Try moving the family dinner later. Or, feed kids who aren't that hungry a light meal and offer snacks later in the evening. Leave non-perishable food on the counter, so kids can graze as their medication wears off and hunger returns. 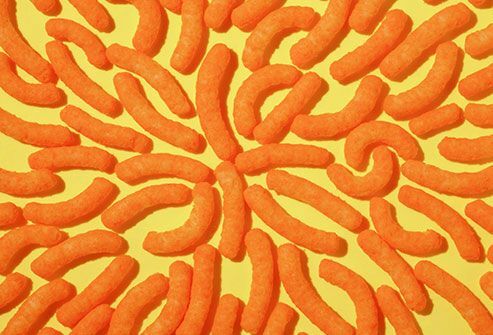 Should You Ban Food Additives? 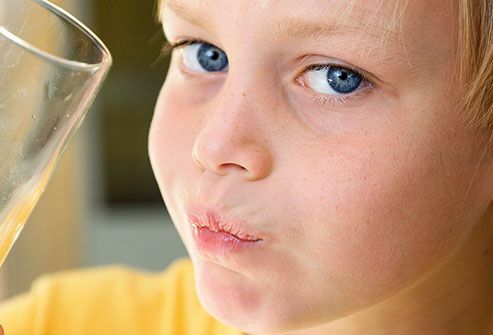 We don't know for sure if food additives or coloring affect ADHD symptoms. If you want to avoid those foods, there's no risk in doing so. Try it for a few months to see if it helps. How about special diets like going gluten-free? Any diet where you restrict a lot of foods can be hard to follow and may cause nutritional problems. Talk with your pediatrician first. Be careful with acidic drinks, like orange juice or grapefruit juice. Some citrus juices can interfere with the way ADHD medications work. Instead of OJ in the morning, offer milk or other non-citrus drinks when it’s time for him to take his medicine. 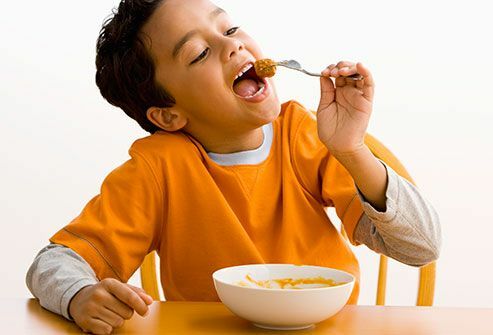 Lots of kids are picky eaters, whether they take medications that suppress their appetite or not. If your child rejects a new food, don’t give up. It may take 10 or more times before she'll even taste it. Put at least one food she likes on the plate. It isn’t always easy to get kids with ADHD to eat. But you can make it go more smoothly. Don't get into a struggle or make demands at dinner. 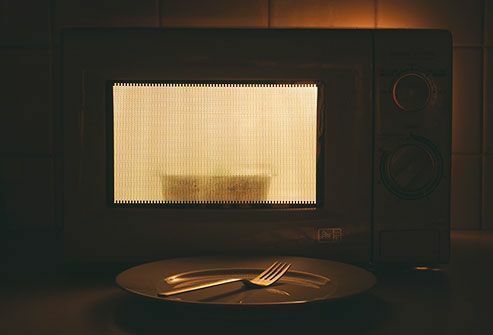 If you insist your child finish a meal, or eat when he says he's not hungry, it will backfire. He may just dig in his heels, making mealtime unpleasant. Go with the flow. Offer nutritious options. Make it easier for your child to eat when he's hungry, so everyone can be healthy and happy. Keith Ayoob, EdD, associate professor of pediatrics, Albert Einstein College of Medicine, New York City. Cleveland Clinic: "The Best Treatment Options for ADD or ADHD." Compart, P., Laake, D., Pangborn, J., MacDonald Baker, D. The Kid-Friendly ADHD & Autism Cookbook, Fair Winds Press, 2012. 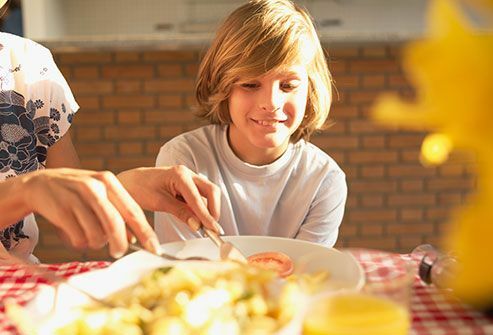 EatRight.org: "Does my child need a gluten free diet?" Harvard Medical School: "Jury still out on foods, additives, and ADHD, reports the Harvard Mental Health Letter." 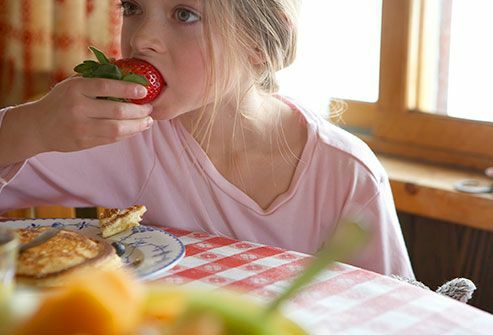 HealthyChildren.org: "Your Child's Diet: A Cause and Cure of ADHD?" HelpGuide: "ADD/ADHD Treatment in Children." Institute for Clinical Research and Health Policy Studies (ICRHPS) at Tufts Medical Center, Help 4 Kids with ADHD: "Information for Clinicians." Monastra, V. Parenting Children with ADHD: 10 Lessons That Medicine Cannot Teach (APA Lifetools.) American Psychological Association, 2005.